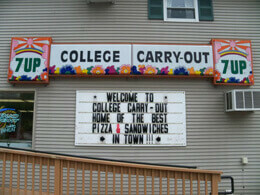 Our goal at College Carry-Out is to serve great tasting pizza. Our "Formula for Success" is based on experience, tradition, family values, quality products and customer satisfaction. 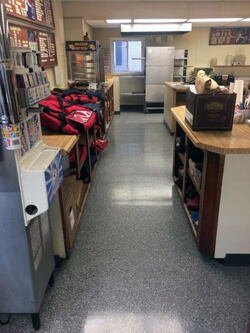 At College Carry-Out we don't want to be the biggest or the fastest pizza maker in the business… Just the best !!! Tuesday Any Daily Pizza Special Of Your Choice2 !!! Saturday & Sunday !!! WEEKEND SPECIAL2 !! !